0.8 g packet. Crystallized lime. 100% natural ingredients. Equals 1 wedge. For water, tea, and recipes. 0 calories, 0 carbohydrates. No artificial sweeteners. 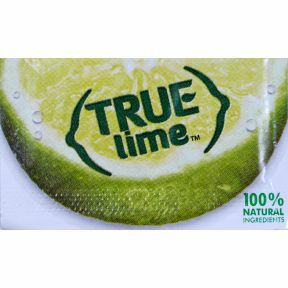 Ingredients: citric acid, lime oil, lime juice, ascorbic acid (vitamin C), organic evaporated cane juice. Contains Soy. No preservatives. Gluten Free.